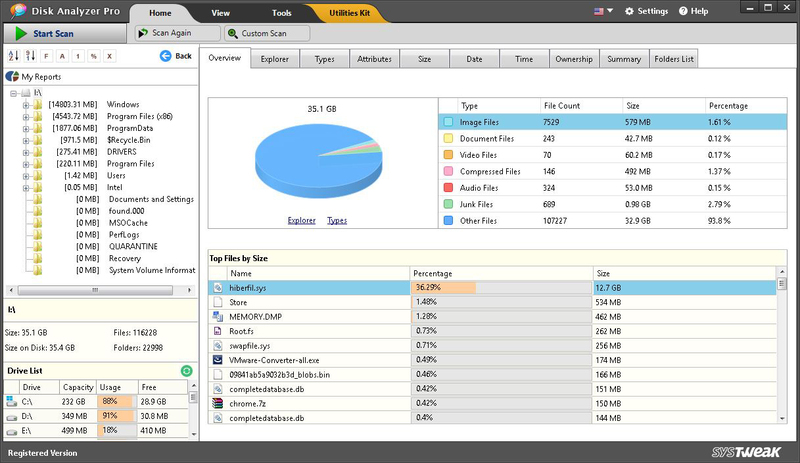 The best disk analysis software for your Windows PC. You can now analyze disk space usage With Disk Analyzer Pro, you can recover chunks of memory on your Windows PC by deleting junk, large files & folders etc. When Disk Analyzer Pro is started a popup window will open, to let you select the Drive or folder which you wish to analyze. Select the Drive or folder and Disk Analyzer Pro will do the rest. Disk Analyzer Pro is free for personal use.